CONTACT SELLER FOR SHOWING: DAN (414) 232-6212. 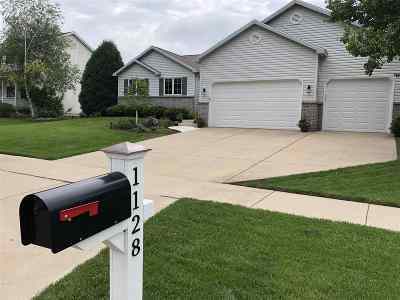 Immaculate 4 bedroom home located in the Heart of Sun Prairie. This home will knock your sock off! Sellers have put so much thought into every detail on this updated ranch home. Tons of natural light shines throughout. Dining room w/large corner windows overlooks the manicured fenced in back yard. Mud room just off of the garage leads into the open concept kitchen that flows nicely to the living room & dining room. Master suite w/beautiful double sink vanity & large walk in closet. Finished LL features gas fireplace, 4th bedroom and storage area. New furnace, A/C, dishwasher & roof.